DC Direct Justice League JLA Alex Ross Series 4 Solomon Grundy Action Figure. This figure has been used for display only and it is in perfect condition. Dc direct authentic and original. Comes from a smoke and pet free home. What you see is what you get. Free Pocket Super Hero (Wonder Woman). Box is sealed contents mint. WE ARE DOWNSIZING A LARGE NUMBER OF OUR STATUES SO BE SURE TO ADD US TO YOUR FAVORITES AND CHECK BACK OFTEN. 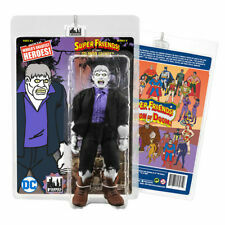 Dc Universe Classics DCUC Solomon Grundy Collect And Connect CNC BAF Complete. Condition is Used. Shipped with USPS Priority Mail. THIS ITEM IS IN GOOD CONDITION, WITH MINOR SHELF WEAR (SEE PICTURES). DC Direct Justice League JLA Alex Ross Series 4 Solomon Grundy Action Figure. Condition is New. Shipped with USPS Priority Mail. In good condition, but with moderate wear from play and age, see photos. Ships fast via USPS. 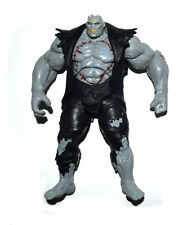 DC Direct Solomon Grundy Deluxe Figure Loose/New/Complete. 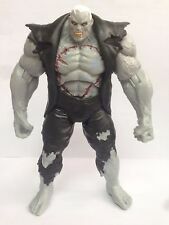 DC Collectibles Batman Arkham City Solomon Grundy Deluxe Action Figure . Figure is mint in a sealed box. Box shows slight shelf wear, but is in overall good condition. DC COMIC Multiverse Arkham City. This item location is Guangzhou, Guangdong Province of China. Item will be. However, it is very rare to happen. Condition: In near mint condition. *DC Comics Multiverse*Batman Arkham City*BATMAN VS SOLOMON GRUNDY*Mattel*2014*. Condition is New. Shipped with USPS Priority Mail. DC Justice League Unlimited Solomon Grundy Figure Great Condition! Rare! I am an adult collector and the original owner. A great buy for any DC Justice League Unlimited Fan! DC Universe Classics Sinestro Wave 3 Solomon Grundy Series Green Lantern. Was taken out of Package and placed in a ziplock bag and has been in my closet since. Never played or displayed. All the joints work and are tight. Actual item pictured. Only ships to USA. From a pet free smoke free home. Any questions please ask. Good luck. Loose and used item,no box,no accessory. Country Approx. “NEW” 2000 DC Direct Deluxe SOLOMON GRUNDY Pack Figure Box Set Factory Sealed. Condition is Used. Shipped with USPS Priority Mail. DC Universe Classics Solomon Grundy Wave 3 Nightwing DCUC Missing One Weapon. Condition is Used. Adult Owned. THIS IS JUST HOW THEY WERE MADE, THEY ARE NOT GOOD FOR KIDS TO PLAY WITH. THIS IS A MUST HAVE FOR ALL DC FANS. GOOD LUCK. Solomon Grundy Right Arm BAF. DC Classics Wave 3. Loose, Great Condition. SOLOMON GRUNDY. DC UNIVERSE CLASSICS. Has never been played with, only displayed, very clean. Wonder woman versus solomon grundy. Sinestro Yellow Variant DC Universe Classics Solomon grundy BAF wave Loose 6"
• NOTE: it does NOT include the BAF part. DC UNIVERSE CLASSICS JUSTICE LEAGUE 6" loose. Safety Warning: This Product is for Adult Collectors ONLY. Cut Tape On One Side. Inside Contents Unused & Strapped In. See Pic(s)! Loose Complete Figure. See pictures for more accurate display. Adult owned and opened. Never played with. Ask questions before bidding. Combined shipping available-$0.50 for each additional single 3.75” figure won. US bidders only, unless using the eBay global shipping program (cannot combine shipping with global shipping program). New in box. The outer box has been opened, obviously. DC Collectibles Batman Arkham Deluxe 13" Figure SOLOMON GRUNDY in orig. box. Any questions, please feel free to ask. DC Classics Deathstroke Solomon Grundy series complete and in excellent condition. L&A’s Customs Mini Project - Utilizing the original DC CnC Grundy Base, we kit-bashed the base with the new Marvel Legends Juggernaut BAF arms, MS Hulk hands, resized arm bands and a total new paint job and voila, a sleek new version of Solomon Grundy for you collection. DC Comics Multiverse Batman Arkham City BATMAN VS SOLOMON GRUNDY Mattel 2014 Adult Collector Never opened. Minor shelf wear. Shipped with USPS Priorty Package. Fisher-Price, Imaginext DC Justice League 7pk Solomon Grundy, CMM60, New, 7-pack includes Batman, Green Lantern, Solomon Grundy, Harley Quinn, Martian Manhunter, Blue Beetle, and Ra’s Al Ghul, For ages 3 to 8 years. Approx 3-5" Tall, SK-006THX-001.